The best touchdown celebration of the NFL season is now a T-shirt. New Orleans Saints wide receiver Michael Thomas isn’t known for flashy celebrations, but after scoring a 72-yard touchdown pass to seal the win against the Los Angeles Rams on Sunday, Thomas pulled out an all-time great one. Oh yeah, Thomas went full Joe Horn and it was amazing. Real recognize real. The third-year Pro Bowl wideout was hit with an excessive celebration flag, but who cares?! 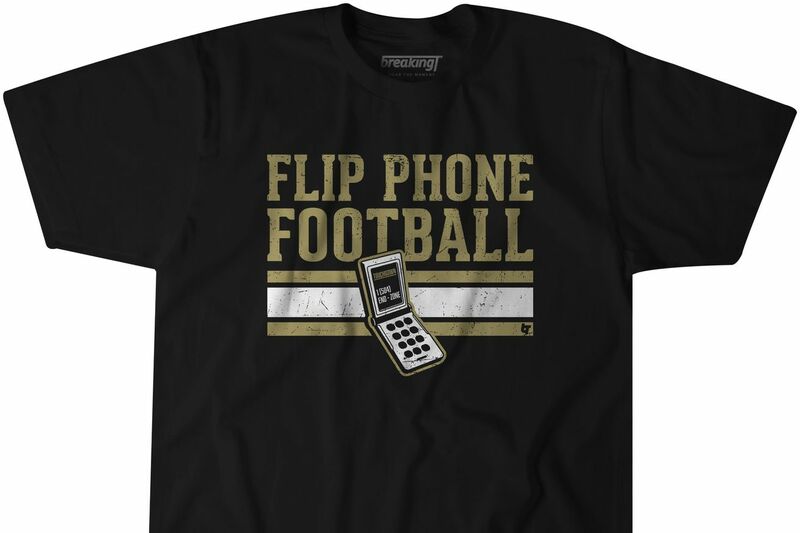 Thomas’ celebration was a blast from the past, and now it lives on as a T-shirt for Saints fans to cherish. 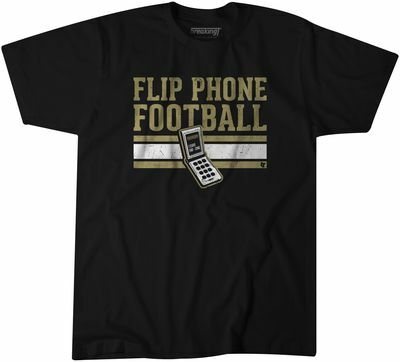 And if you’re wondering, ‘where does anyone find a flip phone these days?’ After the game, Thomas told reporters he found the phone at a “hole in the wall liquor store.” He wouldn’t say what time he had to show up at the Superdome to plant the phones but hey, whatever it takes to pay homage to a Saints legend and show off the best touchdown celebration of the NFL season. We’ll take it. Thomas put up a monster stat line in the Saints 45-35 win over the Ram. The 25-year-old finished with 12 catches for 211 yards and one phone flipping touchdown, which put the game to bed and ended the Rams’ perfect season.